Inks made with ultra violet colorants can be used to make a coating that is invisible to the naked human eye. 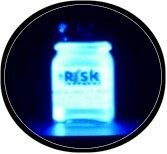 To see our inks you need one of our black lights. 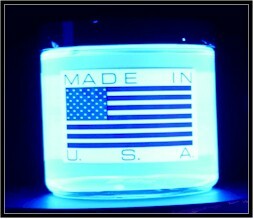 There are many different types of black lights so if you are not sure then use our pure 365 nm lights. 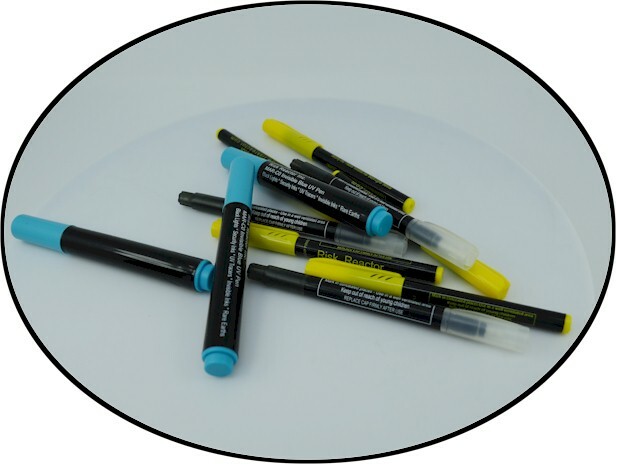 The clear blues can be used with the higher nano meer such as 385 and 395 nm. How can you make something invisible with UV inks? Invisibility is obtained by having the right product for your surface and color, which may require you to try various colors and types to find the right one. Law Enforcement Uses - Sting operations to mark car parts, drugs, money, anything that needs to be identified later or in a court of law. We also have portable battery operated black lights for fieldwork. We can match or beat anyone's price on volume! 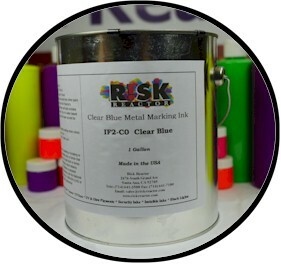 100 Box MAR-C0 Blue UV Fluorescent Marker Pen. SPECIAL PRICE Buy Now and Save! IFPAP-BK Pint of Clear Black Porous Surface Ink.